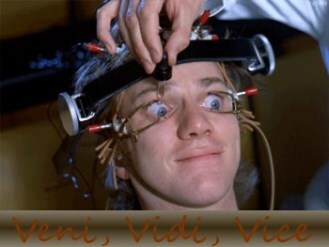 It was the spring of 2001 and I was a member of the Hart House Debating club. Our club organized regular 'show' debates with famous personalities and one such debate involved a Nobel Prize winner. 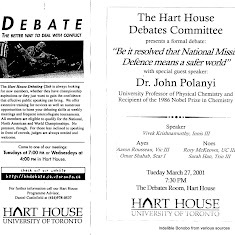 Though I participated in many debating tournaments as both a competitor and a judge, that particular debate stayed with me to this day. 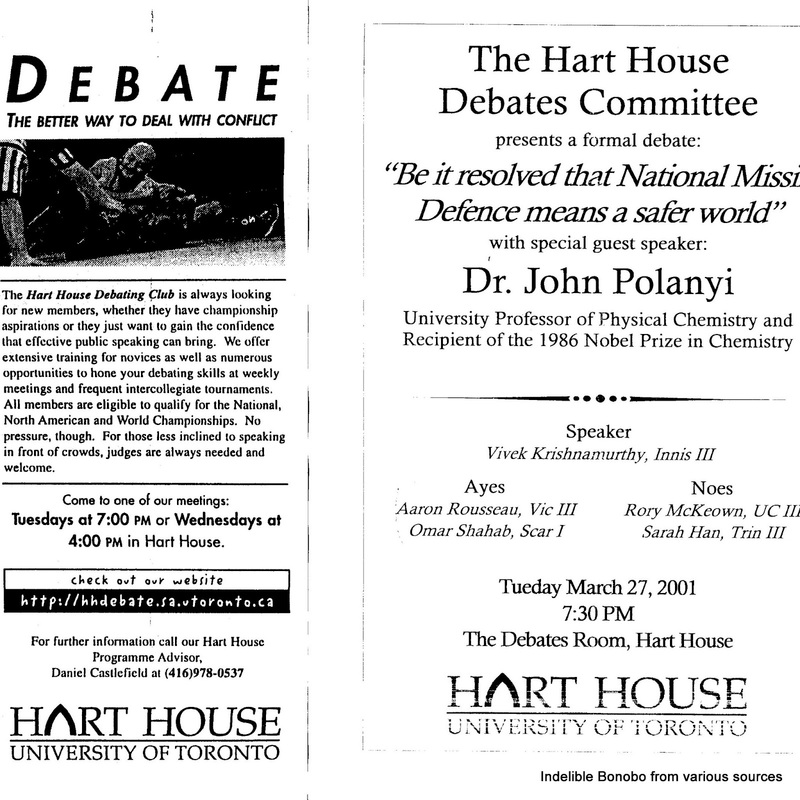 This particular debate featured Dr. John Polanyi, the 1986 recipient of the Nobel Prize in Chemistry.